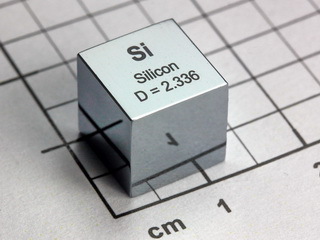 Using finest materials, each density cube was lapped to 10x10x10mm by a famous company especialized in noble metals. Each one separately ground and polished it represents the theoretical density of the respective element by its weight. The weight is not affected by the laser inscription. Information such as element symbol, name and density is durable burned at the surface. Using finest materials, each density cube was lapped to 10x10x10mm by a mechanical engineering company with an accuracy of 0.01 millimeter. Each one separately ground and mirror polished it represents the theoretical density of the respective element by its weight. The weight is not affected by the laser inscription. Information such as element symbol, name and density is durable burned at the surface. Each element even shows its specific characteristis in colour and reaction with the laser. Altogether 25 elements are planned in a complete set in a wooden case. Here you find pictures and the complete description of the set!